The Phil & Teds Cocoon is suitable for use with the Dash, DOT, Sport, Classic, Explorer, Hammerhead, Twin & Navigator pushchairs. 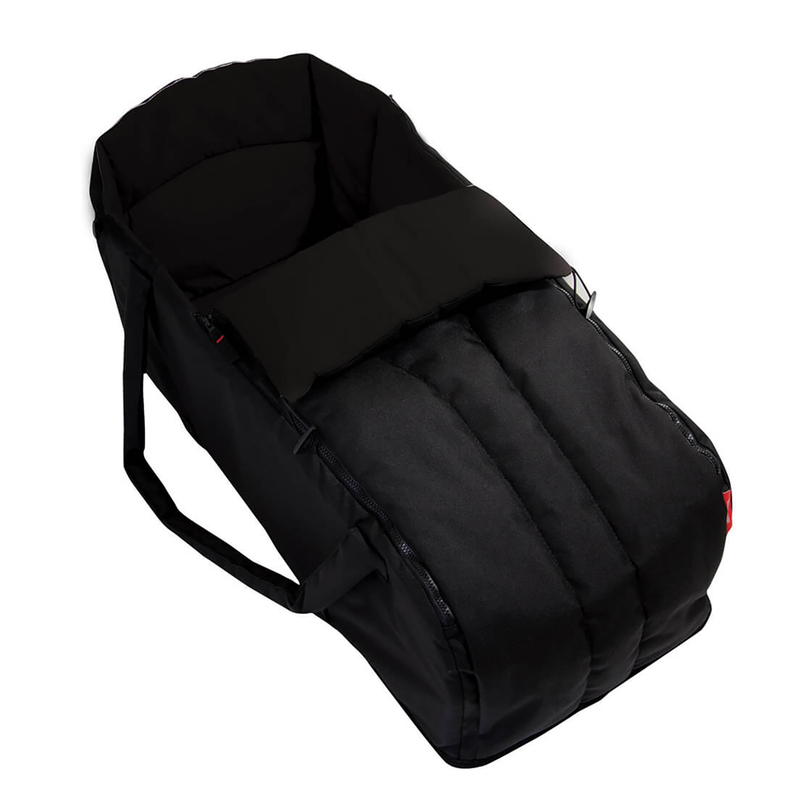 The soft-shelled carrycot keeps your infant warm and snug when out and about in their lie-flat pushchair. The carry handles and firm base allows you to lift baby in and out of your stroller without the need to wake them up, making transport and travel significantly easier. The soft, long handles allows you to gently sway baby to sleep and the zip down top provides easy access to your little one. Independent from the buggy, the cocoon can be used as a makeshift baby bed for short trips away and is certified to European safety standards.